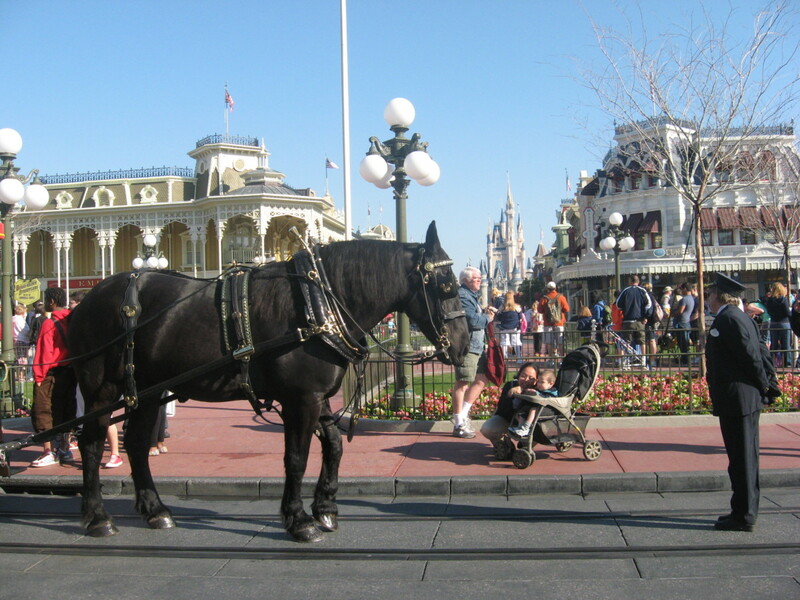 Having a horse that is aggressive in his or her stall can be a real problem. Not one that you have to live with though. I have had success in correcting this behavior. It starts with determining the reason for their territorial behavior in the stall, and the groundwork outside the stall to gain respect. There are many horses who don't want you in their stall while they are eating or act threatening when you go in with a feed bucket. I consider this more of a food issue than a territory issue and as long as the horse respects my space and waits for me to dump the feed, he or she can put her ears back and make ugly faces all they want. When I say stall aggressive I mean that you are not able to safely go in the stall with the horse. They guard it like it is theirs and they don't want you in it. Some say why does this matter it is their stall? To me, it matters because that horse should have enough respect for me that I can do whatever I want to or need to do with it in the stall. It's a matter of basic respect and ground manners that I expect my horses to have. Not to mention I can think of quite a few scenarios where being in the stall with your horse would be necessary. 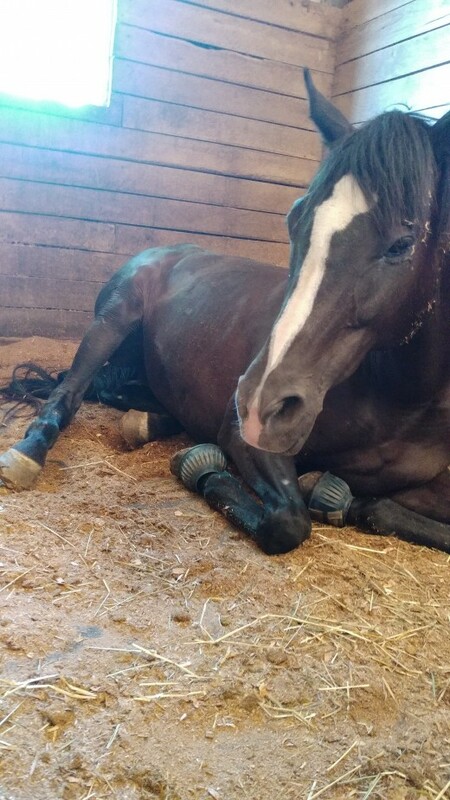 Times like if he was hurt and needed stall rest. Or maybe a busy day at the boarding barn and there are no cross ties open in the aisle, so you either wait to ride or tack up in the stall. I acquired Zoe a few years ago now. 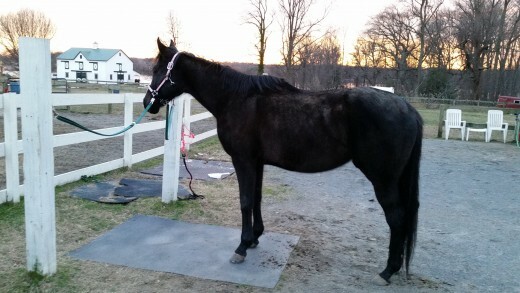 I was not looking for a horse at the time but she managed to land in our barn when we had an opening and never left. Zoe is a thoroughbred. 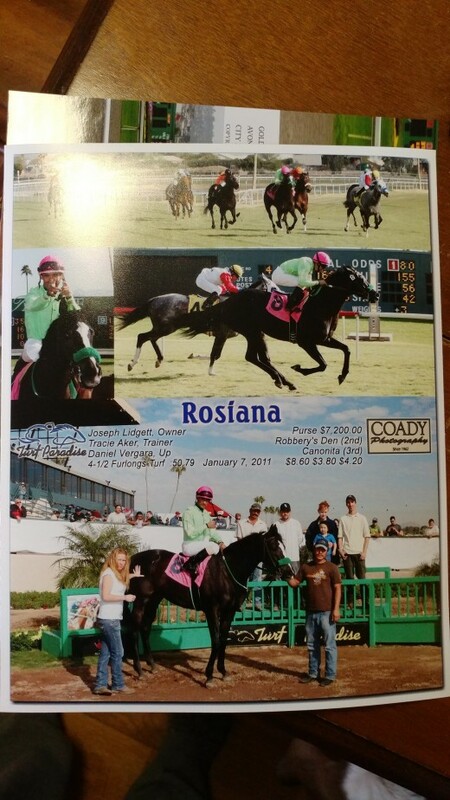 She had a pretty long racing career and from the looks of it had been all over the country in the process. She ended up in a rescue group, got adopted by someone who couldn't handle her and then long story short ended up with me. She is by nature a very sweet horse. She has a kind expression in her eye, and for being a mare, she is pretty level-headed when she is in heat. She tends to be the middle or lower horse in a herd. Nothing about her personality indicates that she would have felt the need to guard her stall so much. When she first came, at feeding time she would hang at the door with her ears back, it was sort of a mixture of " Feed me now" and "Don't you dare come in here". The set up of the stall didn't allow to reach over the door to dump the food so going in there with her was the only option for feeding her. Which meant I had to resolve the stall aggression problem A.S.A.P. It is not safe to work in a closed area with a horse showing aggression, so I had to begin with Zoe outside of the stall. The thing is, she didn't show aggression outside of the stall at all, she was sweet as could be. I spent a few days leading her, lunging her and just getting to know her and her responses to my body language better. She never pinned her ears at me when I asked her to go forward, or showed me any inclination that she wanted to kick at me. I needed to find some behavior that she was doing, and then train her to respond to a cue that I could use in the stall when she was being witchy with me. For Zoe, it was back up. She wanted to be close to me all the time. Not on top of me, but inside my bubble so to speak. I needed to teach her a cue to back up. Then we could use that in the stall. What Equipment Did I Use? 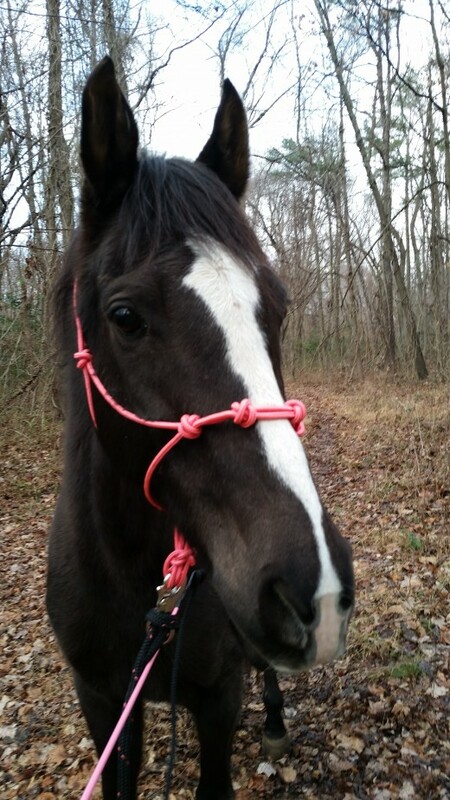 For groundwork, I use a rope halter and not a lunge line, but a longer than average leadline. I want to be able to move the horse around me in a circle in a small trot if necessary, without a lot of excess rope to worry about dealing with. I also use a dressage whip. You can use a long crop, dressage whip, the clinicians make all sorts of "training sticks", that all serve the same purpose, which is to be an extension of your arm and an encourager if necessary to help get them to go forward or backward or whatever direction they need encouragement for. So I started out leading her around. Then I would say "whoa", she would stop, but next to me instead of behind me, and remember the purpose of this is that we are trying to create a personal bubble for ourselves. When she stopped next to me, I would turn to face her, my shoulders square to hers and say "back" while tugging back on the line and tapping her chest with the whip until she moved back. It didn't take her long to realize what I was getting at. She got to the point where as soon as I would say "whoa" and turn and square myself towards her she would back up out of my space. I could then ask her to back a little more for practice every once in a while to change it up. So now she knew the word back, as well as associating my body language with me wanting her to back out of my space. 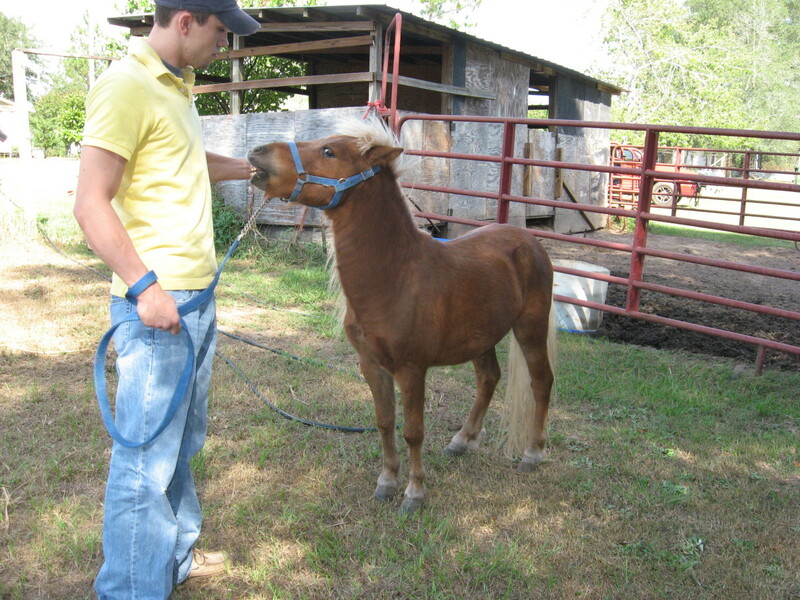 Now that you have associated the word back, and your body language to get your horse to give your personal space. Now we are going to practice inviting them into our space, and then asking them to leave again. In other words, they can only come into our bubble if we invite them, and even then only as far as we say. So I had Zoe back up, by this time I didn't have to even say the word, as soon as I turned around, stopped and squared my body up to her she would back. Now I just gave the littlest tug forward on the line, asking her to take a step towards me. She was obviously confused, afraid she would get in trouble for being close again, but she did walk forward. I would ask her to come forward one or two steps at a time. Until she was close enough that I could pet her and rub on her. Then I asked her to back out of my space again. Let's Just Say Zoe Was A Little Insulted! After all this work to get her to give me personal space when I finally let her into and gave her some attention, she acted like she was insulted when I asked her to back up. This was the first time she really gave me much of a challenge, just pinning her ears and planting her feet. I just matched her negative energy level by being more assertive with tugging the line to back her up and tapping her a little harder on the chest. As soon as she took even one step back, I made a big deal of her and told her how great she was. You want to match whatever energy your horse is giving you if she is giving you dominant vibes, you giver her calm assertive vibes back. You don't want to get overly emotional or overly physical. That will raise the horse bad energy level up even more. Just stay calm and assertive and match the horse. You will be as assertive as they are and then as soon as they do what you want, you immediately take the pressure away and reward them. The pressure going away and the timing of the pressure going away is so important. That way when the pressure is on they know they are being corrected and then as soon as it goes away they know they did what they were supposed to do. The timing of the pressure and release is super important, it needs to be just right, this is something that just takes time and experience to perfect. You will know you are doing better when you get results from the horses faster. Once you have mastered the backup cue. Your horse associates the word with your signals and body language, and you can move the horse to you and away from you easily. When I say easily preferably it would all be done by body language, but if you still need the verbal cue sometimes or whip that is okay. As long as with those tools you can move the horse forward and back with no problem. You are ready for the next step. Once you can control your horse by moving them forward and back easily with your body language and cues, you are ready to add the stall. By adding the stall I mean just that. You will do these exact same exercises inside the stall, outside the stall. Your horse should be so focused on you that they don't realize that they are back in their beloved stall and they should try to guard it. Zoe got a little testy when I started working with her in the stall. Mostly just making ugly faces at me and stomping her feet. I just ignored her, matched her energy level if it went up and then made a big deal when she did the right thing. I had her back in the stall and back out. Go in forwards and then back up to the door, all kinds of weird combinations of forward and back and keeping her out of my bubble unless I invited her into it. Which I did every so often for a quick rub and then it was back to business. Now when she knew that her bin was full she definitely was edgier and tenser. We had to practice a lot longer to get her to relax and focus on me which came pretty easily outside the stall, and even in the stall really before the food was involved. After doing this with her in the stall for enough days she got bored with it and realized that I was not going anywhere. She had to focus on me, the longer she spent being grumpy and worrying about the feed in the bin, the longer she would be stuck with me in what she thought was her space and interupting her dinner! Once you have gotten your horse to the point that you can keep them focused on you in the stall, and in or out of your space when you need them to. Then you are ready for the next step. What I did with Zoe after I was sure I was able to keep her focused on me and control her being in my space in the stall, with and without food. I moved on to the next step. Basically, you are not ready for the next step until you know you can keep the horse focused on you so much to the point that it doesn't even think about the stall. It is waiting for you to tell it what to do next. 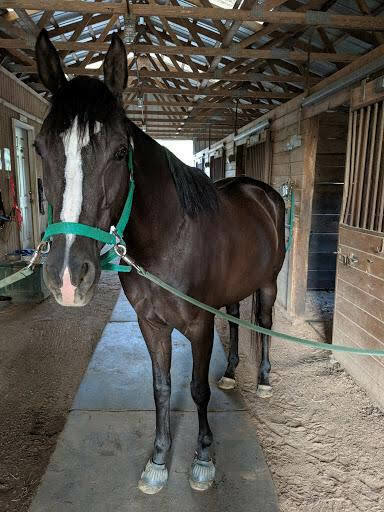 It did not take me very long with my mare, since I have had plenty of ground work experience, if you are new with groundwork it may take you longer, and there is no shame in that. I want you to be safe and successful, I don't care how long it takes. The next step is to work in the stall just as you have been. 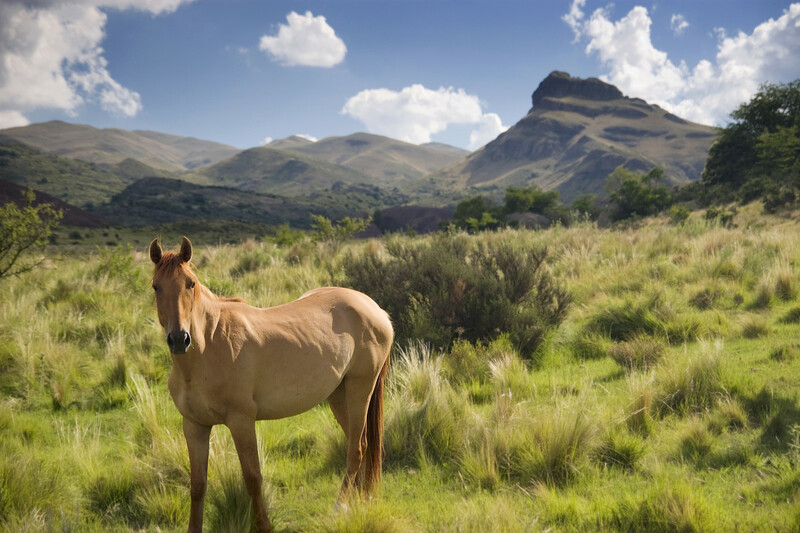 Do your normal back and forwards exercise, and make sure your horse is in tune with you and waiting for the next instruction. 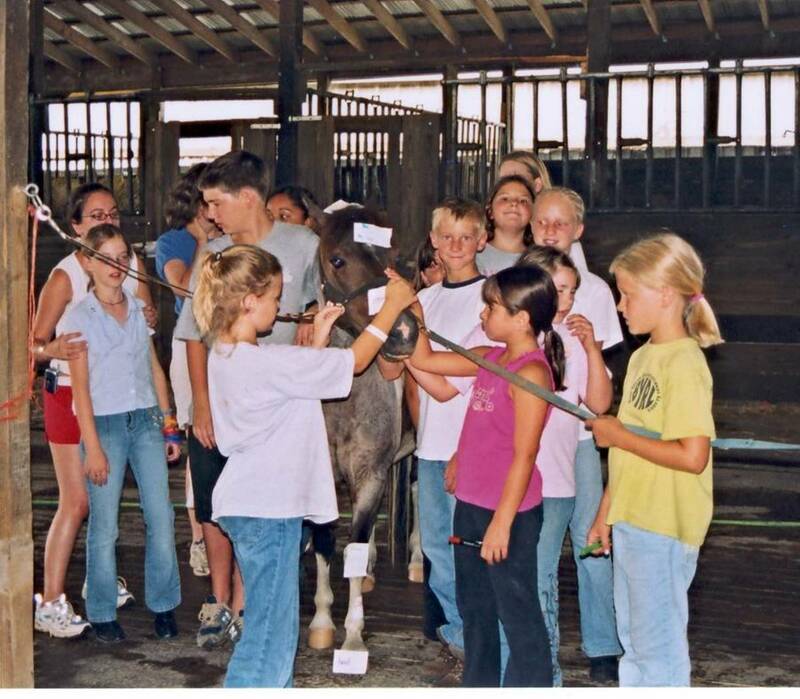 Then you are going to take the leadline off. Basically pretending as if it is still one, using the same body language, verbal cues and whip to move your horse forward and backward out of your space just like you did with the leadline on. Your basically trying to tell the horse that you own that space, and you will decide when and where they will move around it anytime that you are in there sharing the space with them. For a few days practice with the line on first, then take it off and practice without. 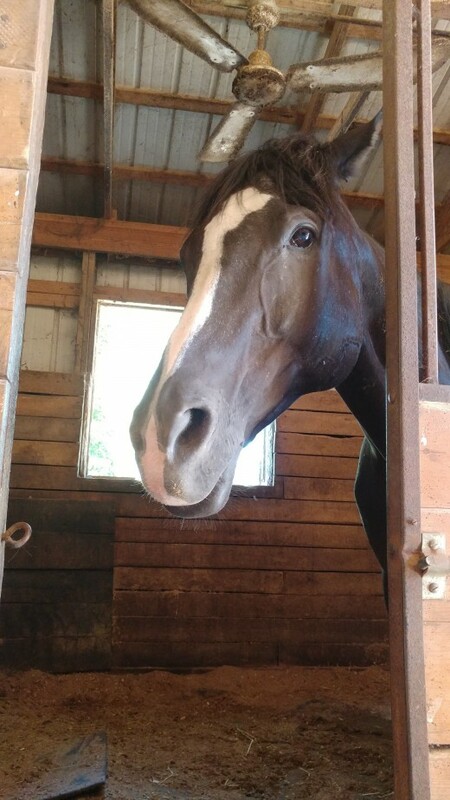 Once the horse is waiting for you to tell him when and where he can move to around the stall, he is respecting your personal bubble and you are safe in the stall with him. Zoe, the horse I did this with, still makes grumpy faces when you are in the stall with her. She knows how close she can get to my bubble and she knows to back up when I come near her to keep that bubble in between us. She now knows the stall is only hers when I'm not in it. As soon as I, or anyone else for that matter, go into the stall, it's our stall and we control how they can move around it and when. This method worked well for Zoe. She is not a mean horse by nature and just had never been taught boundaries or personal space. As well as the fact that she should look to me as her leader to tell her what to do, she thought she should be the one dominating the situation. It didn't take her long to figure out it is much easier to be a follower and wait for me to tell her what to do. WIth a horse that is acting extremely aggressively, I would suggest instead of trying this method you seek help from a professional who can see you and the horse work together in person. The horse learning the ground work lesson of being asked to back out of your space and then being invited back in, all while being respectful is important for all horses to learn. It just so happens that it is a handy way to get a horse who doesn't like you in the stall with them to learn that it is your stall not there's!!! !